You count the days for the next UFC fight and know the main fighters like the back of your hand. You know their strengths and weakness, and can easily tell if they can overpower an opponent or not. Sounds like you’re ready to make the big bucks betting on UFC online, but if this is your first time with online betting, here are 3 easy steps you must dominate before placing a wager. This is the most fundamental step. Understanding the odds is the key to success as a gambler. Obviously, every fight has a favorite and an underdog. 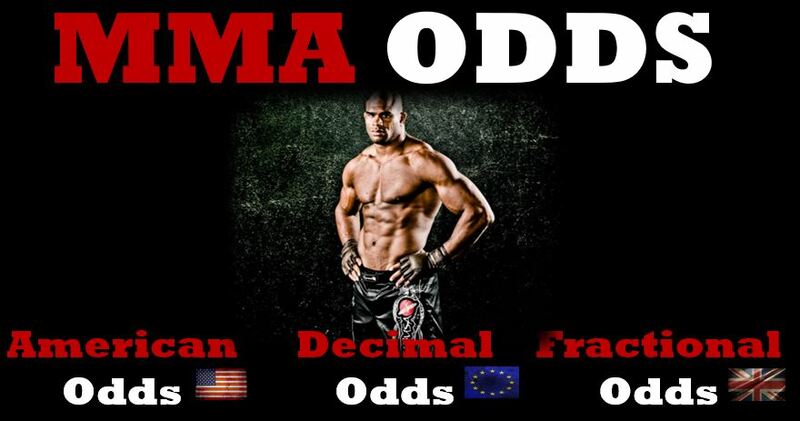 If you’re new to MMA betting, the odds might not make it obvious which is which, but it’s actually very simple. First off, there are three types of odd representations used by sportsbooks around the world, it depends on the sportsbook location which type will be default, but you can select the odds format you prefer from “settings”. Decimal odds are mostly used in Canada, and could be considered the most easy to understand worldwide. Fractional odds have always been a favorite in the UK, they can easily be converted to decimal odds by completing the fraction and adding a unit, for the stake. American odds are the ones used in the USA, also known as Vegas odds, and can be a little complex to understand for those not accustomed. Our MMA Odds Archive holds all the information on past event odds from the most used sportsbooks. Use it to know odds offered on specific fighters, events and which bookie offers the greatest value. In this case, Weidman is the favorite and Belfort is the underdog. The favorite will always illustrate negative odds and the underdog positive. The more distant from each other the odds, the greater the favoritism for a fighter vs the opponent. American odds are based around a $100 value bet. For instance, in this fight, you would need to bet $270 on Weidman to earn $100, while a $100 bet on Belfort would earn a $210 profit. – The number next to the minus (-) sign is how much money you have to bet to make $100. – The number next to the plus (+) sign is how much money a $100 bet would return in profit, including the stake. Easy, right? It does not matter if you don’t get it right away, your sportsbook will calculate the payout for you when entering the desired stake on the bet slip. You watch the fights and know the contenders, but now that we’re wagering money it’s time to take your research to the next level. It’s not just about being familiar with the guys in the roster, it’s about knowing what they like to do, what they have trouble handling, and how they match up against each other. – ESPN Go MMA (source 1) is reliable for latest news about UFC fights and live news about fighters. 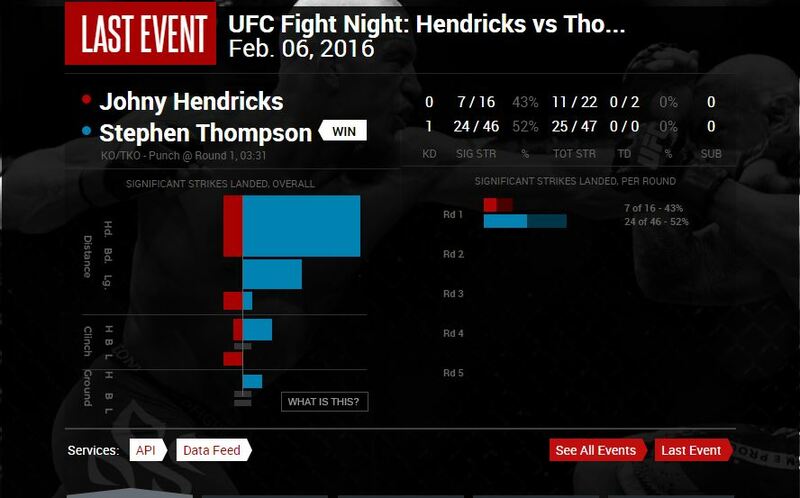 They use fightmetrics technology to handicap fighters, the official UFC statistics tool free to use. – Fightmatrix (source 2) is a rather different but efficient website that ranks fighters with its own system. Their site has been around since the eve of the sport and ranks every single fighter that has ever fought a UFC fight. They even have an Unknown Division section for fighters that are too unknown to categorize in the present. – Sherdog (source 3) is one of the top MMA sites with great stories and news about present fighters. The “fight finder tool” can be used to hunt down upcoming fights and begin your research on the UFC, Bellator, WSOF and One FC. You should be familiar with the guys who haven’t made it to UFC yet. The stars of smaller bouts are tomorrow’s new UFC fighters, and knowing what they’re about before they debut inside the Octagon is a great way to get a leg up to become a professional MMA gambler. A lot of times, the odds for debuting fighters are skewed because of the lack of name recognition. An investment in becoming familiar with those guys now can pay big dividends a few months or years down the road. No matter how successfully your picks are, none of it matters if you choose a shady sportsbook that doesn’t pay out your winnings. It’s not a win until you get paid, so make sure that you’re picking a sportsbook with an established reputation and years of successful service. To help you make the right decision, we put together quick guides that explore your options when you’re betting in Canada. Our choice for the top sportsbook in Canada, is without a doubt, Sports Interaction.